Fan responses to Star Trek: Discovery has been mixed since day one, although with the release of season two some of the negativity has died down, even so there is still a vocal minority out there that seem to be hell-bent on hating upon this astounding new version of the show no matter what. To gage a better understanding of just how the fans feel about Discovery, over the last three months, we polled Star Trek fans with two simple questions. With the mixed comments all over social media we were expecting a close result, that, however, was not the case and we were shocked by the results. 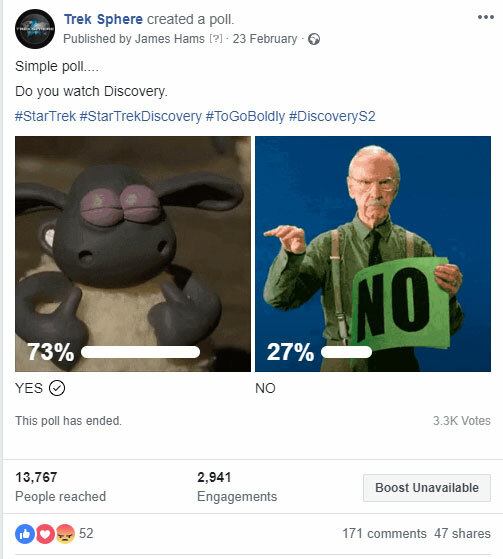 This poll was simply “Do you watch Star Trek Discovery” with a simple Yes or No choice. 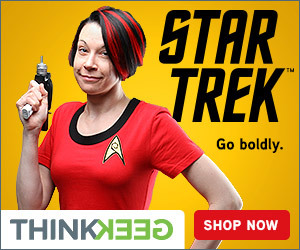 This poll reached over 13,767 Star Trek fans and was voted on by over 3300 people. This is a clear example that the show is being watched despite what the naysayers want people to think. We wanted to see just how much the fans would accept the change in design to this iconic bridge and if people wanted the design from the TOS to be shown in Discovery. This poll from the outset was not even close, it has fluctuated a few percentage points but it has remained around the 70% mark all week. 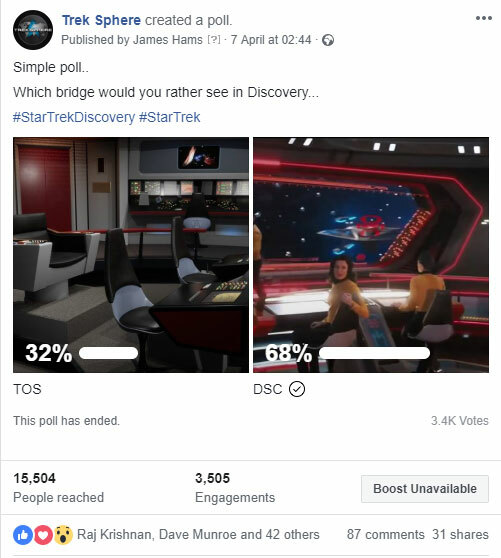 The poll reached over 15.504 Star Trek fans of all types and was voted on by over 3.400 people. Even though the polls are now closed, you can still comment on them by clicking on the links below. 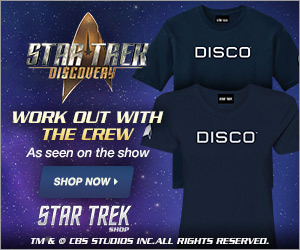 You can watch Discovery on CBS All Access (USA), Space (Canada) and Netflix (Rest of the World).